Welcome to the improved ANGELS Guidelines website! To complete registration, please review our terms and conditions. Supplying information and/or continued use of this website is considered assent to the Terms and Conditions, which may be periodically modified. The ANGELS guidelines system maintains your login for two weeks. If you use the ANGELS guidelines on a public computer, be sure to sign out when you’ve finished and close all windows to end your session. 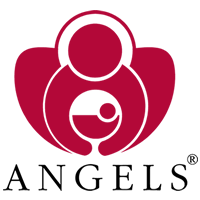 The Antenatal and Neonatal Guidelines, Education and Learning System (ANGELS) was established in 2003 when two major state agencies, the UAMS College of Medicine and the Arkansas Department of Human Services, combined forces to address rural health care disparities and improve obstetrical and neonatal care across Arkansas. The program thrives in a collaborative, provider-driven network that focuses on improving obstetrical and neonatal outcomes throughout Arkansas while reducing healthcare expenditures. Reaching out through a growing real-time, interactive video network, ANGELS collaborates with Arkansas’ physicians to develop evidence-based obstetrical and neonatal guidelines. With this combined expertise, ANGELS has defined best practices to meet the needs of Arkansas women and babies for more than 150 high-risk obstetrical and neonatal conditions. Utilizing a growing telehealth network, ANGELS extends the expertise of Arkansas’ urban specialists into the hands of community providers and patients. Education is a key component of the ANGELS mission through interactive video teleconferences and the development of evidence-based obstetrical and neonatal guidelines that focus on Arkansas’ rural providers. We invite you to join this exciting network and participate in the guideline development by sending your comments and suggestions for improvement to cdheducation@uams.edu. The guidelines are developed to aid health care providers in making decisions about appropriate care. The guidelines are not intended to dictate an exclusive course of treatment. The needs of the individual patient, resources available, and limitations unique to the institution or type of practice may warrant variations.